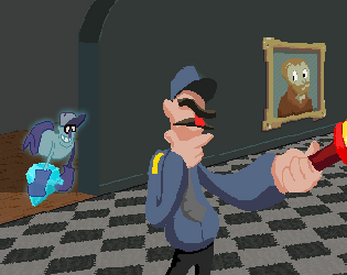 In Super Greedy Ghost Grab you take part in a ghastly art theft, stealing the art by possessing and becoming the objects. Don't get caught by a guard though! Against his flashlight you don't stand a ghost of a chance. Made for the Cleveland Game Developers Summer Jam 2017.